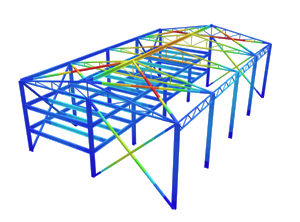 SkyCiv’s Section Builder can be used to define your member cross sections for use within our other programs (Truss, Frame, Beam, or S3D). Use the Section Builder integrated within the other software, and save/load your section. Use the standalone Section Builder and save your section. Then when within the other software, load your section. 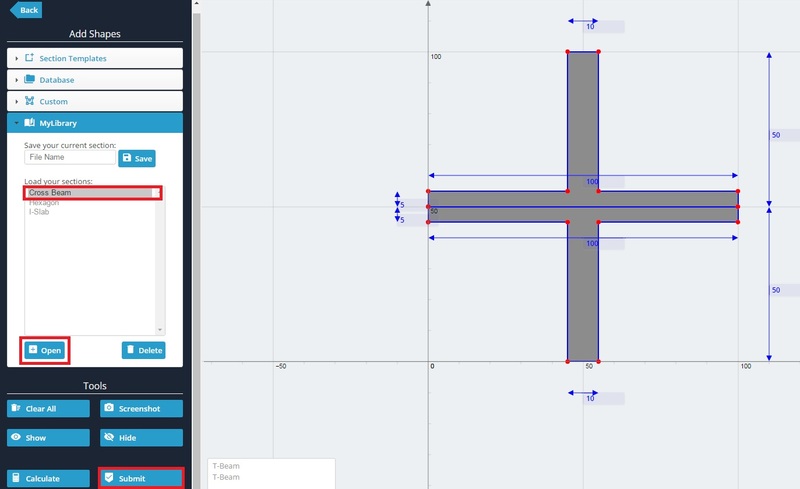 The following example shows you how to load your section into Beam which you previously saved in the Section Builder. The concepts are similar when trying to load up a section into Truss, Frame, or S3D. 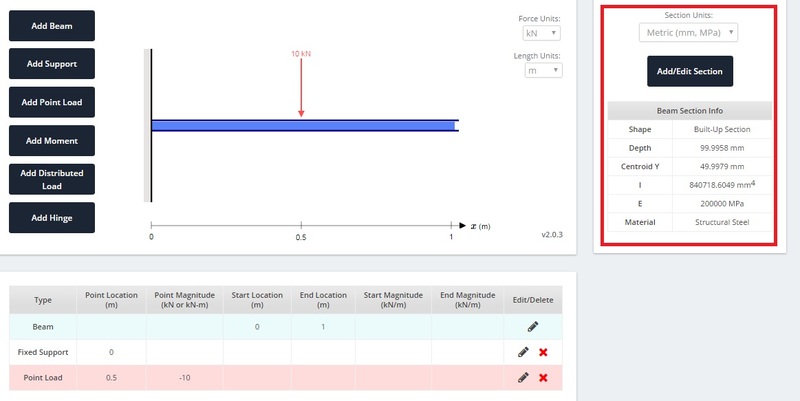 In this example, you have saved a section inside of the standalone Section Builder and want to use this section within our Beam software. Whilst within the Beam software, click “Add/Edit Section”. 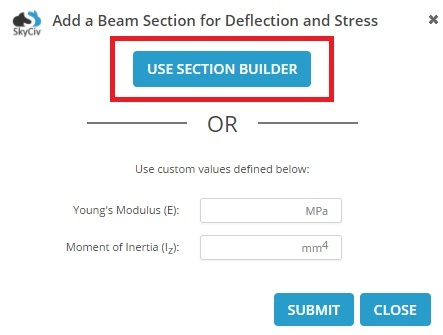 Click the “Use Section Builder” button when the pop up asks you to choose how to define your cross section. The integrated Section Builder should open. Previously you saved the “Cross Beam” inside of the “MyLibrary” menu. Now to load this section, either double click the section name in the list, or single click and click “Open”. The section should appear on the right. Click “Submit” to have this as the cross section of your beam. 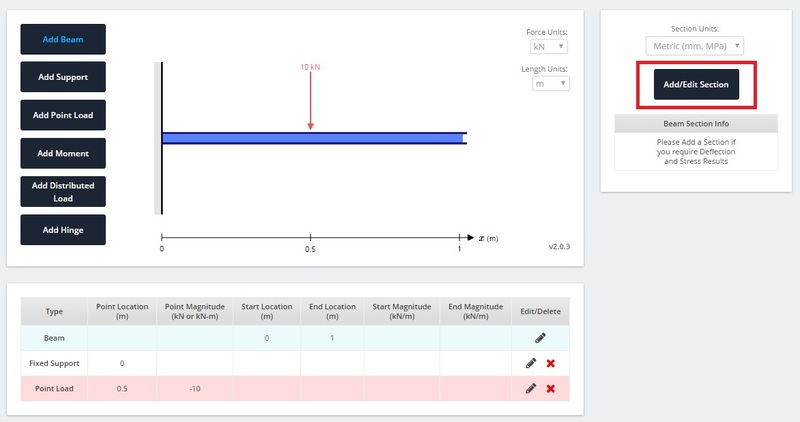 You’ll notice that after you click “Submit”, you return back to Beam’s main screen there will now be a table to the right which summarizes the information about the cross section you just added.